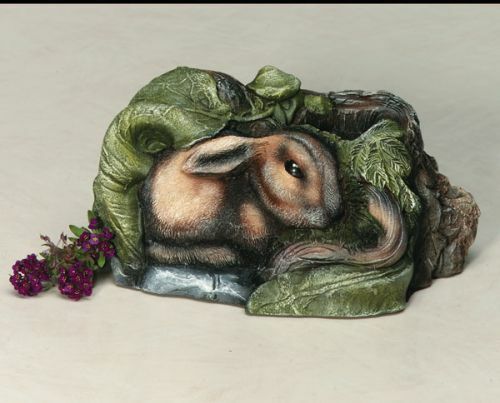 Cast from polymer materials and hand-painted in intricate detail to capture nature's peace and tranquility. Cast from polymer materials and hand-painted in intricate detail to capture nature's peace and tranquility. Bottom-opening stopper seals with adhesive (included). 6"W x 4.75"D x 3.25"H; 9 cu. in. ; 3.5 lbs.